JJSE student leaders celebrated at the SFUSD school board on Tuesday, May 23, as the board voted unanimously in favor of the resolution they had developed in support of undocumented students. 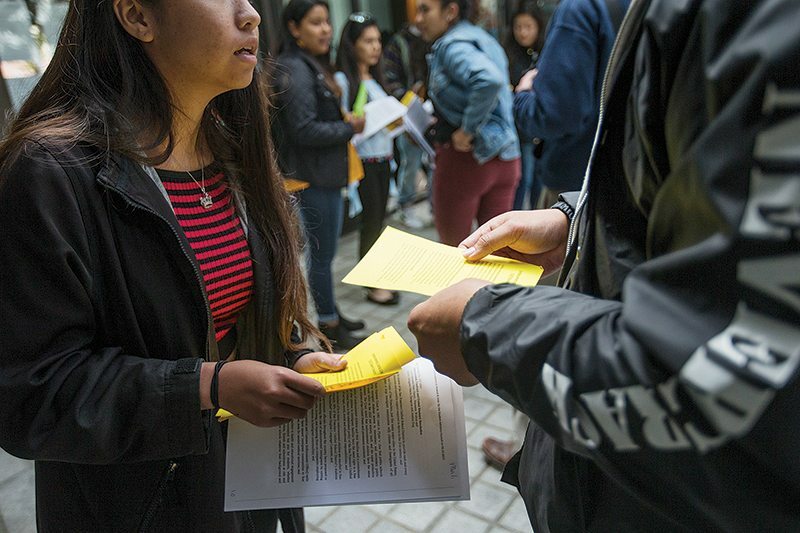 The resolution established a new, stronger policy for all SFUSD schools, providing legal protections, social-emotional support, and college and career access for undocumented and mixed-status students. This is one of the strongest policies in the nation, and perhaps the only one which was developed by and for undocumented students and peers. JJSE students led the effort, along with students from many other high schools in SF. This was a historic moment, and it represents the kind of leadership we need from JJSE students!